Need a painting idea? Here’s four ways you can turn your home into a treat for the eyes. All 4 ideas here are low-cost ways to re-decorate your home. 1. How to liven up bathrooms or kids rooms with fun tropical designs. 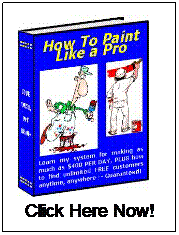 One of my painting customers was always good at this. 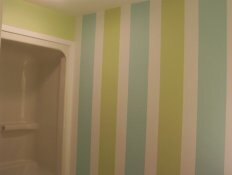 She loved to wallpaper and did neat designs in bathrooms using wavy stripes on the upper half wall and dots on the bottom half with a “fun” type of border in the middle separating the two. She made it look like the beach scene. They also had a summer home at the lake and you got the “feel” of it all at their main home like in their downstairs bathroom off from their kitchen. It was all done in light, tropical, pastel type colors. 2. How to liven up kitchens, bathrooms and bedrooms with painted stripes. I panted stripes in an upstairs hallway bathroom for a customer. They too chose a fun type of beach design. They have a condo at Lake Michigan and this seems to reflect in their decorating as well. Their main home is the one I painted stripes in. The stripes were a light blue and a lime color. I used a carpenter’s level to make the lines straight and vertically level. And I used a special blue painter’s tape that won’t bleed for painting nice sharp-looking stripes. When it was finished his wife bought a shower curtain, some porcelain containers for the sink area and a wastebasket. They all were colors that were like the stripes. The colors and the design in that bathroom makes you feel good. 3. How to make your bedroom ceilings, game room or home theatre room come alive when the lights are turned down or off. Picture turning out the lights at night and it looks just like someone removed the roof and you are staring up at the night sky. It feels as if you were sleeping outside on a warm night underneath the stars. That’s exactly the look you can achieve with this painting idea. It’s called being an illusionist because you are creating the illusion that you are actually looking at the nighttime sky – night sky filled with stars that actually twinkle! 4. Faux painting is another great low-cost way to liven rooms up. By picking up a glazes brochure at any paint store (Benjamin Moore has a really good one) you can learn how to do several basic faux designs that can make any dinning room, bathroom, even a bedroom look like a million bucks. My favorite design is called “color washing” – a painting idea that looks good in any home! As a matter of fact, there are million dollar mansions that have beautiful faux painted walls. By using the instructions given in the Benjamin Moore “Glazes” manual and by practicing on washable vinyl sheets you will become a master faux painter in no time flat. 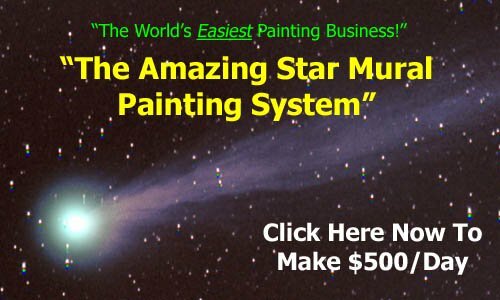 Did you find this article helpful for a painting idea? Click here for more related info.